The tall Victorian spire dates from 1854 and can be seen for miles. 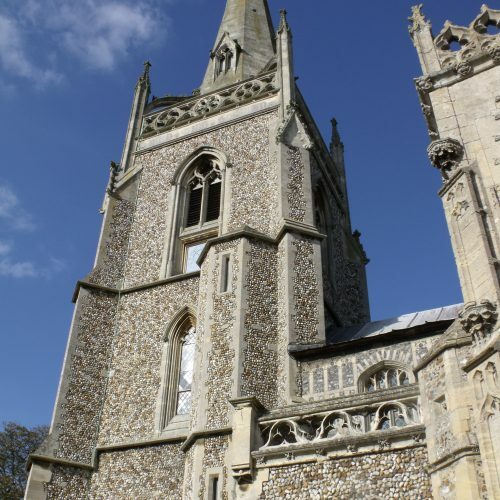 Let yourself be drawn by it to this wonderful Suffolk church – one of the finest in East Anglia. 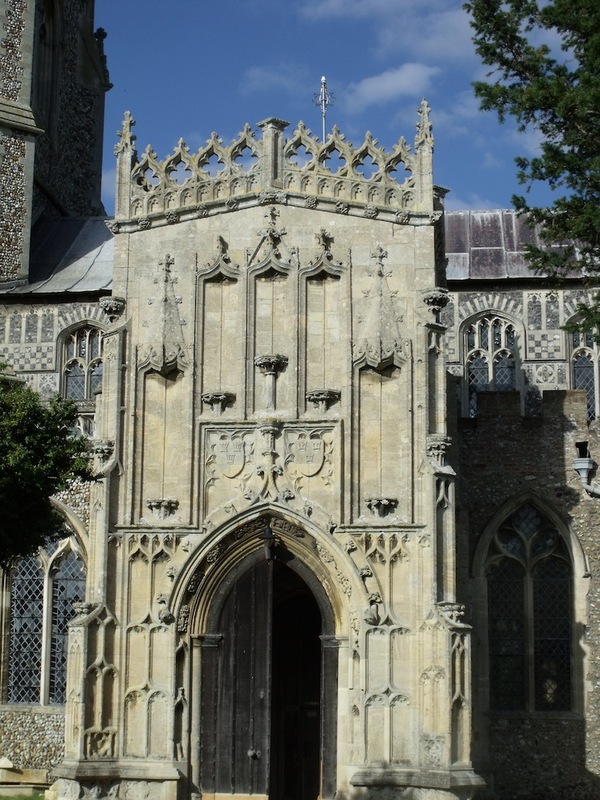 Handsome two-storey porch funded by the wealthy abbey at Bury St Edmunds in 1430. Could it really have taken 40 years to build? 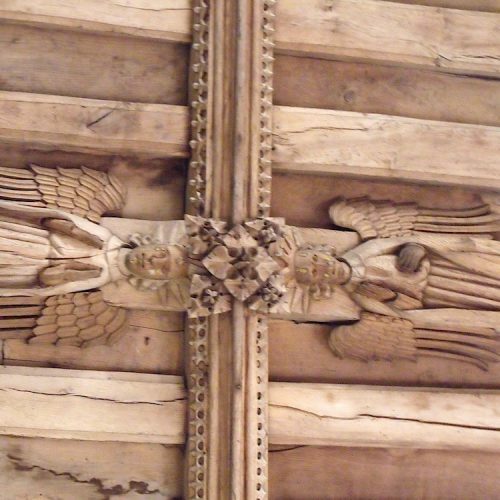 Inside this Suffolk church, the woodcarving is breathtaking, from the exquisite medieval bench ends to the intricate, six-tiered angel roof. 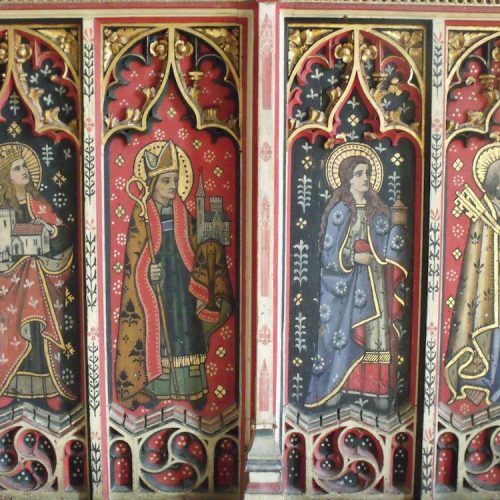 The highly skilled hand of Suffolk’s master woodworker Henry Ringham is evident in the 19th century work that appears alongside the original. Victorian tower apart, this is a medieval building and the original church went back even further to before the Norman Conquest. 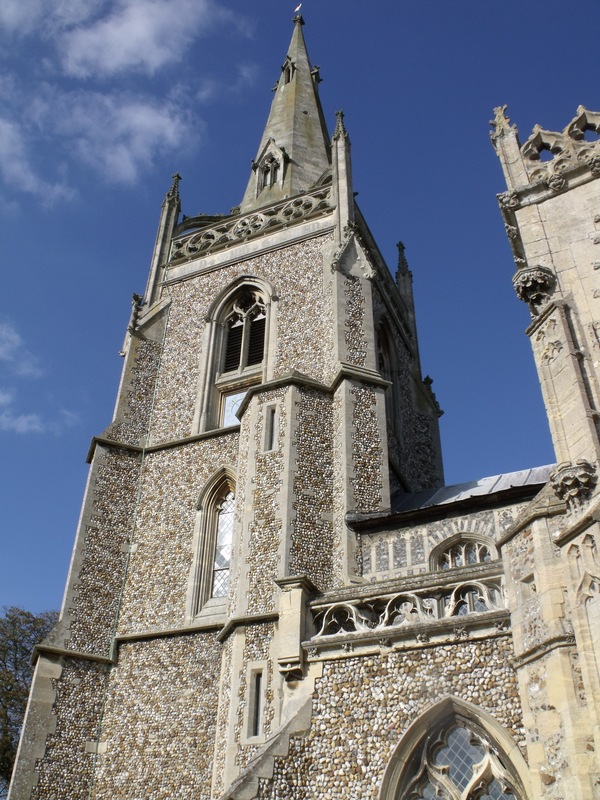 The chapel and statue of Our Lady of Woolpit was popular with pilgrims in medieval times, which accounts for the expensive detail, and records go back to 1211 when the church was still in the hands of the St Edmundsbury Abbey. 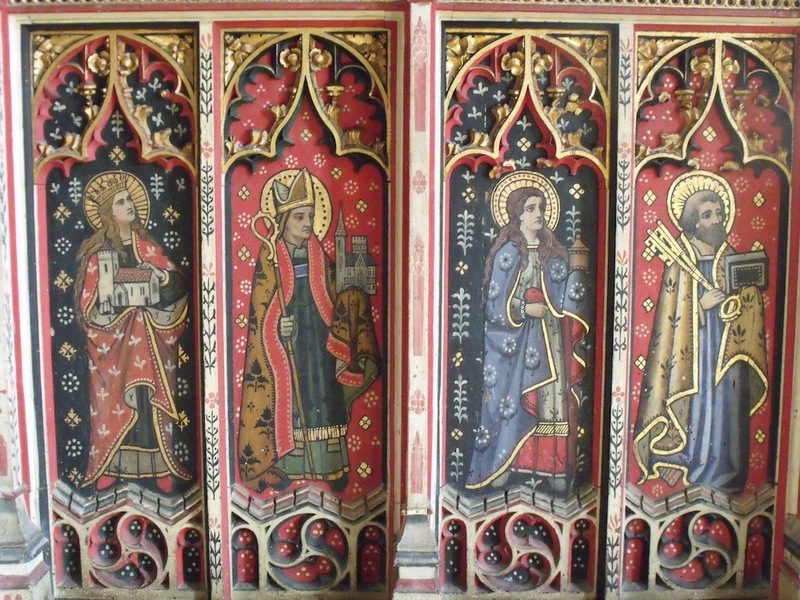 The present nave and chancel date back to the 14th century; the pews and chancel screen 15th century. 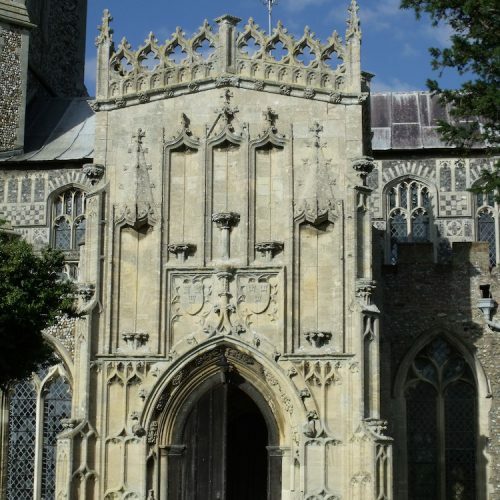 This beautiful Suffolk church welcomes visitors daily and holds musical concerts as part of the annual Woolpit Festival. 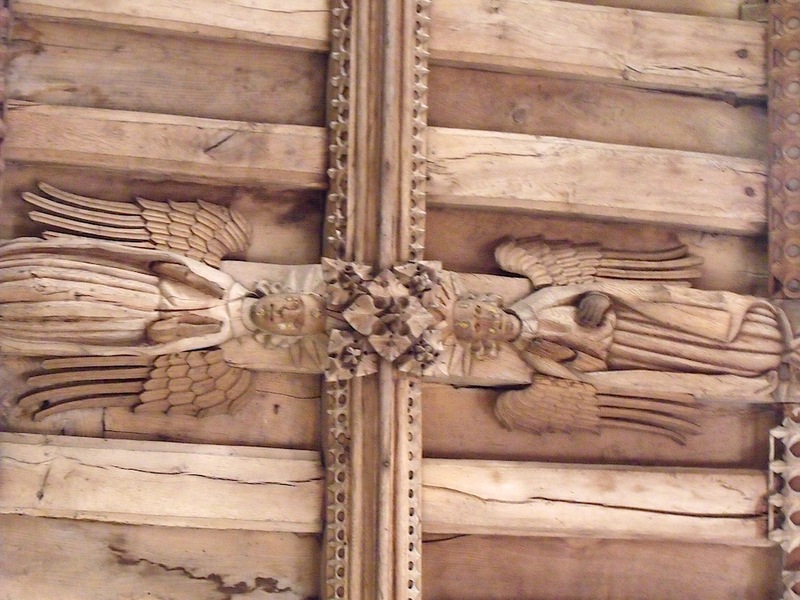 You can use it as a starting point for the Angels & Pinnacles Church Heritage Trails, Yellow No. 4 in the series. 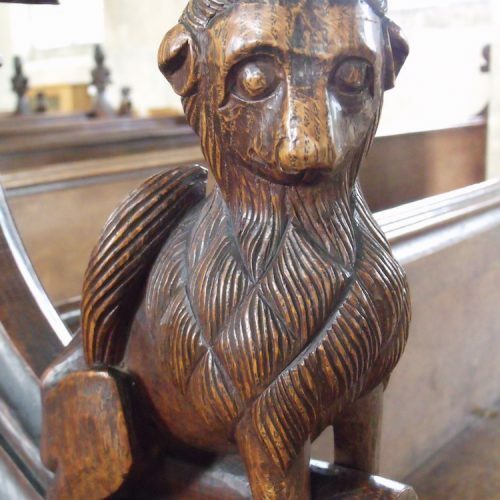 Take the circular walk to Rattlesden church, walk to Hessett church or cycle round to Rattlesden and Shelland churches. 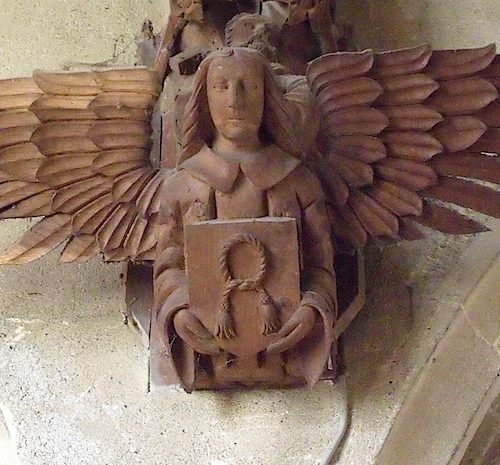 Ulfketel, Earl of the East Angles, who is believed to have given the original church to the Shrine of St Edmund at Bury St Edmunds and was killed in 1016 in a battle with the Danes. His name means wolf (Ulf) trap (ketel). The green children of Woolpit. Read their curious tale here. The historic market place is only a step away with its Elm Tree Gallery and Woolpit Village Museum. 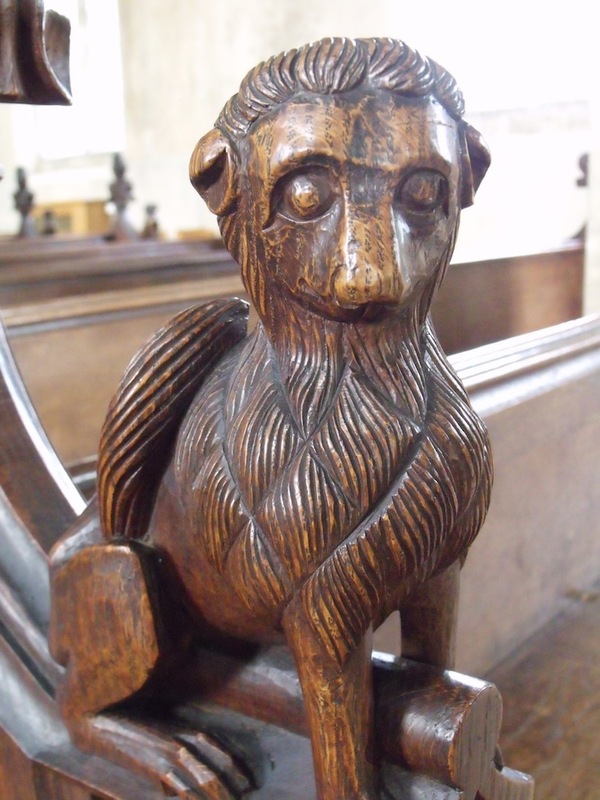 Close at hand are two other lovely Angels & Pinnacles churches at Great Finborough and Rattlesden.